One of our most popular rooms, the King, Poolside with Patio and Rain Shower is the only one of its kind at Bay Breeze Resort. 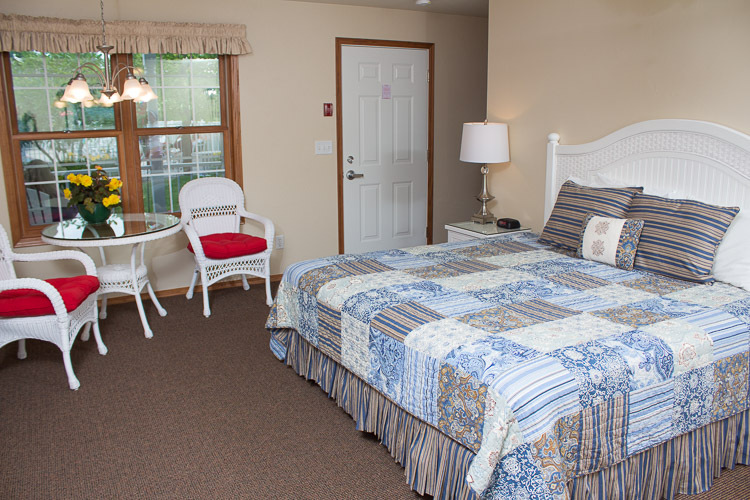 It features a quaint patio convenient to our outdoor heated pool and whirlpool. With a gas fireplace and recliner, this room will keep you cozy. The Ultimate Kohler Rain Shower Experience is the perfect way to invigorate for a day spent exploring Door County!